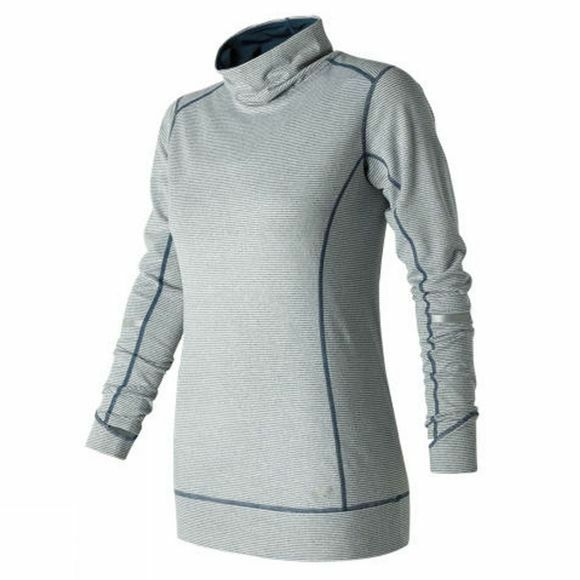 The Women's Stripe Tunic from New Balance is perfect for cooler weather or nighttime runs. NB Dry fabric wicks moisture away from the body while reflective detailing helps to increase visability. The tunic also features an adjustable collar and thumbholes for added comfort.